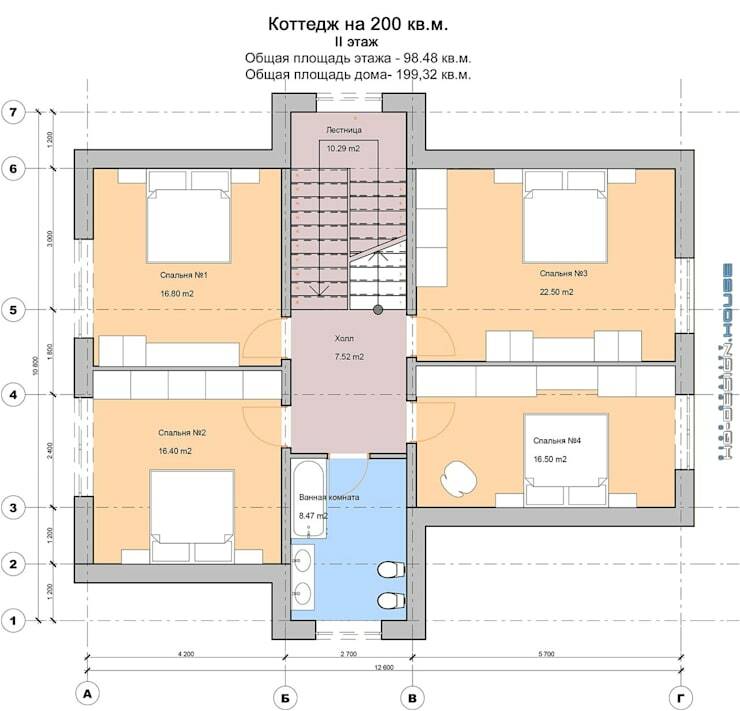 Today, we are going to travel to Russia and watch a home design come alive right from the planning stages. 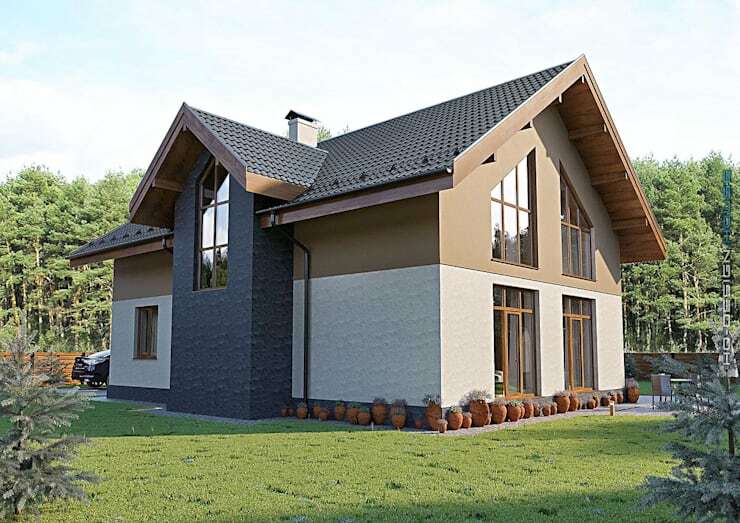 Design professionals, HQ Design House, have drawn detailed architectural plans that give us a glimpse into what the home will look like once it is finished. We will study the finished product from all angles on the outside and then compare it to the architectural plans and see if we can work out what they mean. From the front of the house, we can see that this is a neatly packaged, modern and contemporary family home. It features several shades of neutral tones including caramel and chocolate, which makes for a very appealing, warm and inviting facade. The house is spread over two levels, with the facade drawing out different volumes and shapes throughout. The interior of the home must be very interesting to explore! A stone driveway cuts through the manicured garden, while pot plants and flowers add a touch of greenery to the design. This a wonderful example of how functionality and style work together. If we look at the home from this angle, we can see how large glass windows have been utilised down the one side of the house, opening it up onto the exterior space. This allows natural light to stream through into the interior space. It also allows the family views of the surrounds. We can see that the garden remains neatly manicured and organised throughout the property, with the lush plants and flowers enhancing the overall look and feel of the exterior space. Remember that your garden plays as much of a role in the design of your home as the architecture itself. Even the most beautiful of homes will be overlooked if the garden is in shambles. Spend time taking care of your garden or hire someone to help. 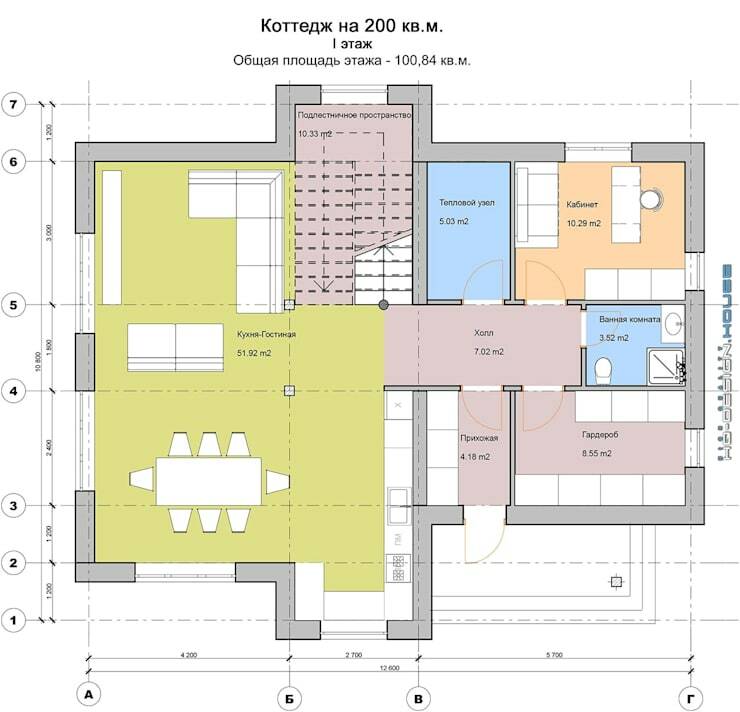 In this image, we can see the architecture plan for the ground floor of the home. Are you able to read it? 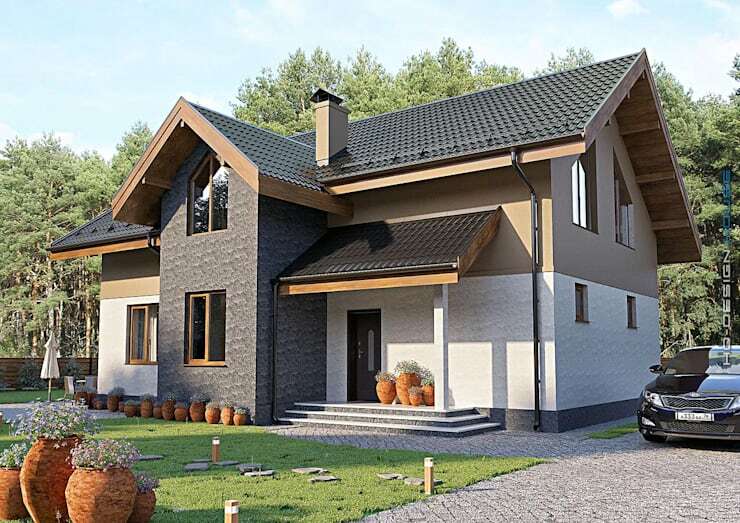 These plans are very beneficial as they allow the architect and the home owner to get on the same page when it comes to a house design. You want to be able to picture what your home will look like when it is being designed! In this plan, we can see how there is an open plan kitchen and dining room, which leads on to more private rooms throughout the rest of the downstairs space. Even in the plan, we can see how large windows and doors are made provision for, ensuring that this home is packed with light and fresh air at all times. In this plan, we can see how the designers have included a staircase in the front of the house, which leads up onto the second floor. Here there are four large bedrooms featured as well as a large bathroom. These plans are so intricate that they even show which way the doors will open as well as where the furniture will be placed in each. Do you feel like a plan like this would give you a better understanding of your home design? Based on the colours and tones that we saw throughout the exterior of the home, we wanted to guess what the kitchen inside might look like. We picked this one, by Capital Kitchens CC. 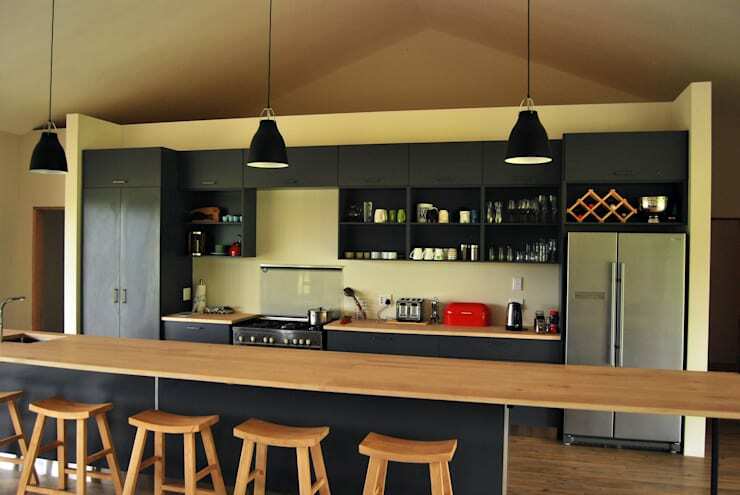 This kitchen would be perfectly suited to this family home, because it is modern and chic while still allowing for a very comfortable and functional space where the family can interact and connect with one another. The wooden breakfast bar that runs along the entire length of the room is simply gorgeous, allowing the kids to share a snack or chat to mom and dad while they cook up a storm. If you liked this ideabook, you'll love these: 5 home design ideas with photos and plans to copy. Were you able to guess what the interior would look like based on the architectural plans?